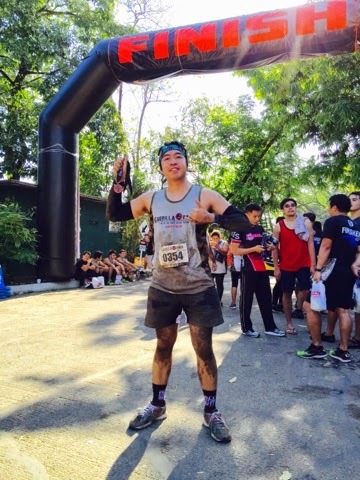 This how Runner Rocky looks like at the finish line of the recently concluded Urban Guerilla Race after successfully passing the 22 obstacles. Muddy, oily, dirty - these all symbolized the priceless achievement! This only serves as a teaser of my upcoming article narrating my Guerilla Race experience. On my next post, I will share with you my whole story about the race plus the photos during the event.